via In the Garden with Janet Carson. 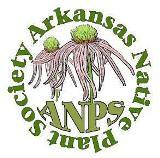 This entry was posted in Chapter Meetings, Native Plants and tagged Doug Tallamy, Janet Carson, native plants, wildlife. Bookmark the permalink.